We are working hard in designing and modelling of all the machinery of the game, the concept artist and the modeller are doing a really great job and I'm really happy with them. 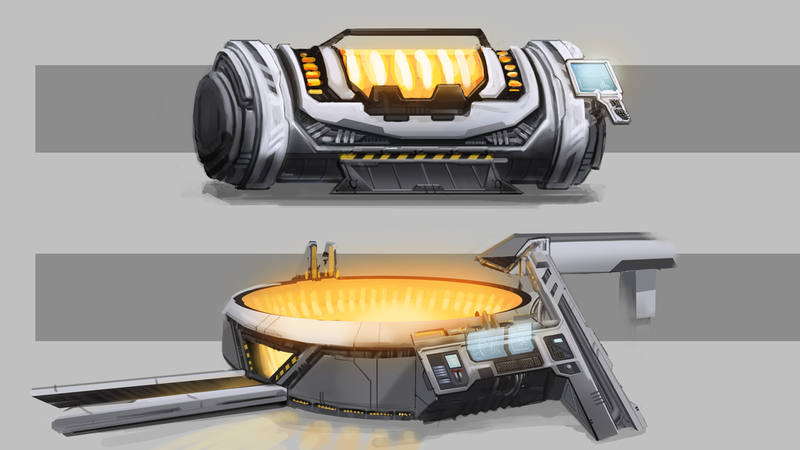 I would like to show you 4 new concepts, two about power generators and the other ones furnaces. In the first concept there are two kinds of power generators, the idea is that the player starts with one of them and discovers the other one by research. We are working on the 3d model of the first one, this is the high poly work in progress, I hope to have the model with textures soon. 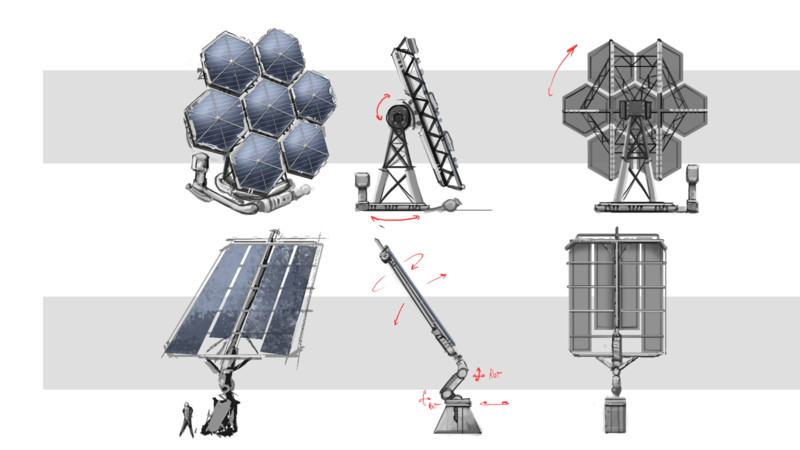 The next concept is about the furnaces.The idea is the same of the power generator, offering to the player the option of improve the machines by technology. The first furnace will work like the furnace of the game but the second (below), will be awesome, because the idea is that the player put a conveyor belt over the furnace/foundry and the mineral ores will fall to the core of the foundry, and after a time, the foundry will create the ingots and the player could pick up from the other conveyor belt. 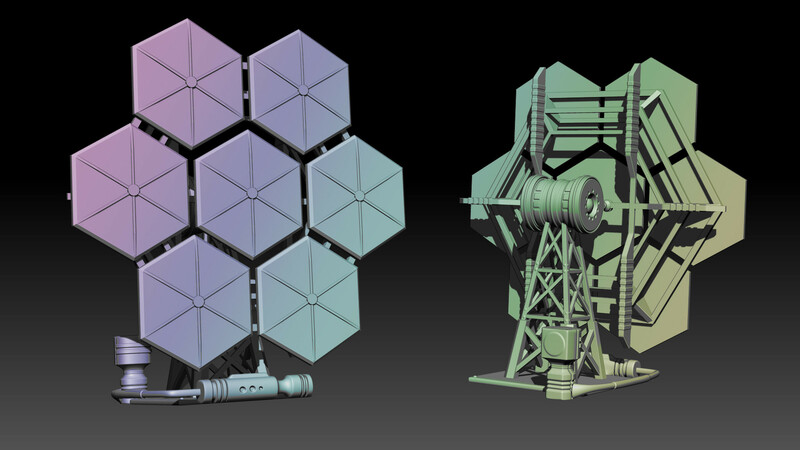 This foundry will be designed to melt a lot of minerals, also it will need a lot of power. When I have more concepts and models I will show you.